Breaking into a new academic marketplace can be a challenge for lab suppliers due to security and unwelcoming labs on campus. Attending an on-campus trade show event provides lab suppliers with the best opportunity to display supplies on-campus, to interested and well-funded researchers from campus research laboratories. 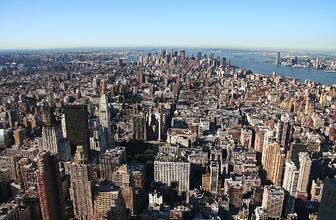 New York, being the largest metropolitan area in the country, is a thriving life science marketplace for both scientists and lab suppliers, supporting some of the largest and most well-funded research institutions in the country. 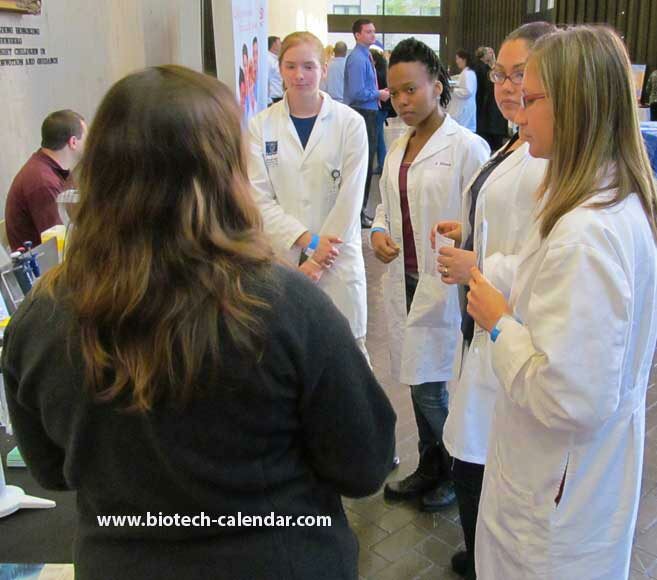 Biotechnology Calendar, Inc. hosts life science events every Spring at two of the top research institutions in New York. These BioResearch Product Faire™ Events bring together active, highly-funded scientists with companies able to supply them with the best and newest tools available to further their research. Demonstrate products to lab managers, purchasing agents and end-users. Answer questions, distribute samples, and discuss ongoing research projects on campus to explain why your supplies are the best for the job. Schedule follow-up appointments with new leads to further researchers understanding of the benefits of using your products and services. Gain brand exposure in the Washington academic marketplace while nurturing new and existing leads. Coming up in March 2016 are 2 premiere BioResearch Product Faire™ Events in New York, providing ample opportunity for laboratory suppliers to market lab supplies to hundreds of active researchers. The 11th Annual BioResearch Product Faire™ Event will take place at the Icahn School of Medicine at Mount Sinai on Wednesday, March 23, 2016. This popular yearly event provides laboratory suppliers with the opportunity to meet face-to-face with 200 life science researchers in one place in just a matter of hours. The 2015 event saw researchers from 43 different academic departments and 12 on-campus buildings who took time out of their busy schedules to learn about the best new products available to use in their labs. In October 2013, Mount Sinai School of Medicine broke ground on a new $125 million building expansion and modernization project at Mount Sinai Queens. Construction is expected to be completed in 2016. The Department of Neurology at The Mount Sinai Medical Center receives annual research grants totaling more than $30 million. 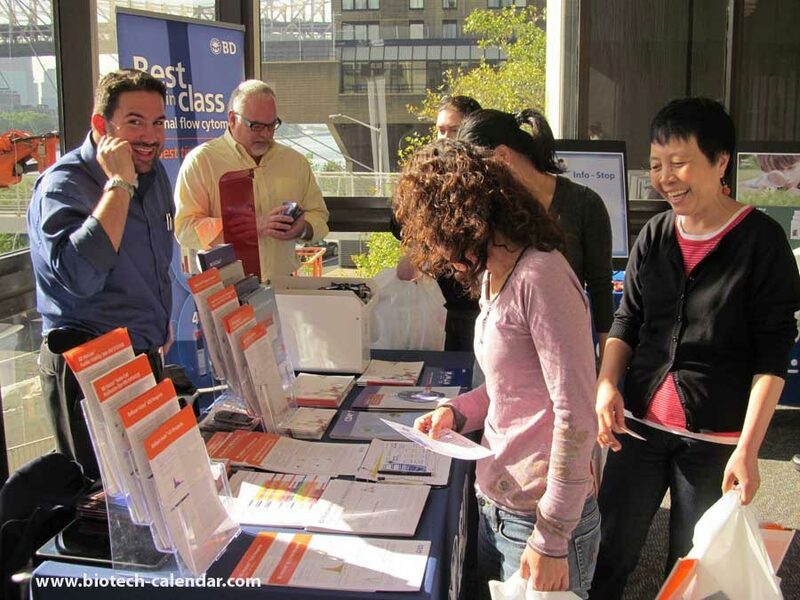 The 20th Semiannual BioResearch Product Faire™ Event at Rockefeller University will be held on Thursday, March 24, 2016. 375 researchers from this highly-funded and regarded research institution are expected to attend. Between the 2 events in 2015, 797 scientists from 75 different academic departments and 33 on-campus research buildings attended the spring event earlier in 2015. Five Rockefeller scientists were awarded five-year grants for "high risk research" from the NIH. The rewards, which run over a five year period, are part of a $155 million NIH awards program for innovative and high risk disease related research.